Oliver is one of the founders of Kiwi.com as well as the creator of the idea of a search engine for cheap flights using airlines that don’t usually cooperate. From his early years, Oliver tried to get into business. He sold blueberries on the Czech-Austrian border, assembled cheap jukeboxes for pub owners in his home town and imported foreign electronic cigarettes. 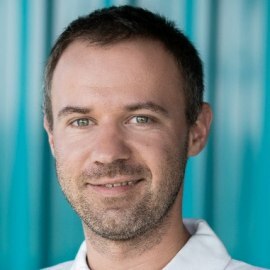 In 2012 he founded Skypicker (today´s Kiwi.com) leveraging the local tech talent pool in Brno, Czech Republic and began development of the unique flight combination algorithm that has powered the company’s 7,000%-plus revenue growth over the last six years. Oliver appeared in the Financial Times’ “New Europe 100” list of Central and Eastern Europe’s brightest and best people in 2016. More recently he was named one of the Forbes 30 under 30 Europe 2018.